How much support do you need to back up your claims? If you’re in politics, not much. But then, no one trusts politicians. As a brand leader, you need your readers to trust you. Stating facts without supporting evidence or citing trends without proof can damage your credibility and harm your brand. Fortunately, the web is full of authoritative information to back up your claims. All you have to do is find the right information from the right sources and be honest with your readers. Some sources are better than others, so for the best results, stick to these strategies. Linking to related articles on trusted websites is an easy way to verify the information in your content. You benefit from the trust the other site has already established and prove to your readers you’ve done your homework. Keep in mind, I specifically wrote “trusted websites.” Readers are more likely to believe in a source they know and trust. Supporting your investment advice with an article from Forbes provides more credibility than linking to Random Joe’s Investing Blog. Likewise, you need to consider your target persona. Senior citizens are more likely to trust an article linked to AARP than MTV.com. Link to sites your readers recognize and agree with. 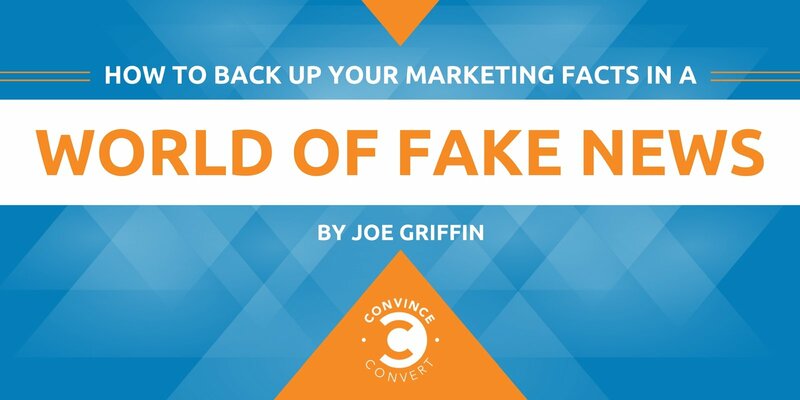 Avoid lesser-known or controversial sites to maximize the credibility they provide. Link to the page with the content you promised. Don’t link to the main website and expect your readers to find the particular article. Send them directly to the evidence. Make sure statistics you cite are easy to locate on the destination page. Cite the original source of information whenever possible. Don’t make readers click a link only to find a summary of someone else’s information. If a CNN article quotes VOX, skip the CNN site and link directly to the VOX article. Companies, websites, and private organizations run thousands of research studies on almost every imaginable subject. 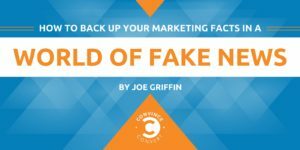 These studies are a goldmine for content marketers; they can back up your claims with scientifically proven data. Advising your readers about current content trends is always more convincing if you can back that claim with an analysis of over 640,000 posts, for example. Fact-check your writers. Require your writers—in-house and freelancers—to provide research to back claims. This helps you ensure accuracy and appeases your company’s legal team. Come up with ideas. The latest research helps you identify new or changing trends that fuel hot topics for your readers. Even if nothing has changed year over year, that’s still a story! Providing expert quotes can offer similar credibility benefits as a research study. An expert’s reputation or credentials suggest superior or specialized knowledge that often leads people to trust them. Expert quotes are powerful for positioning data interpretation in a specific way because the expert won’t have the same implied bias as you or your company. As with any source, make sure you verify the credentials of the experts you quote. The last thing you want is to quote someone with questionable credentials or—worse—skeletons in their closet that could damage your credibility. If you don’t do your homework, someone else will. Attend industry conferences. If you can’t make the conference, check out the website and see who’s presenting. Use a tool like Klout to find the thought leaders and influencers in your field. Remember that your expert doesn’t necessarily need a Ph.D. or to be a household name. An expert is anyone your audience sees as having a keen insight into the marketplace or the needs of your customers. That could be a customer who typifies your target persona or an agent at your call center. In fact, a recent Edelman study found that a person’s peers are viewed as equally credible as traditional experts. Report on new research. For content portals for industry knowledge, provide links to trusted websites as a way to support your claims. This can help increase your SEO. You also can achieve occasional credibility boosts by reporting on relevant research as it becomes available and featuring guest posts by industry experts. Write for industry publications. If you want to become a thought leader, write for respected industry publications to build your credibility. Again, you must back your claims with hard evidence, citing research and quoting experts in your field. But it’s a way of allowing the industry to vet you, instead. Vet your marketing claims. Legal requirements vary by industry, but it’s always important to back any claims you make in a marketing campaign with industry-approved research studies. False or unsupported marketing can lead to legal trouble or even FTC intervention. Always double-check the sources—and context—for your claims. Do your own research. If you want to do more than just report the latest trends, you need to up your content game. Sponsor your own research study to help establish yourself as a go-to resource for information.